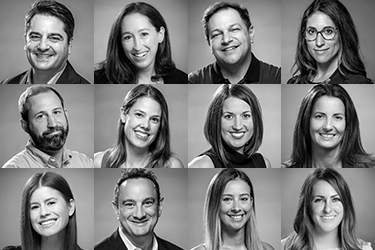 To generate excitement and awareness around their #embracethepresent campaign, Kenneth Cole tasked TLC Marketing with building a unique promotion that would drive sales at retail. TLC matched the target demo’s interests with a campaign that rewarded every purchase over $150 in a single transaction with the choice of a free concert ticket, theater ticket, or ski pass. 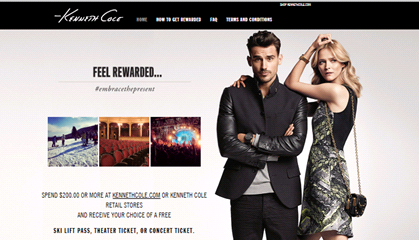 The results showed that Kenneth Cole and consumers were both left rewarded. According to the brand, “Having the ability to offer our customers high-end rewards including ski lift tickets, theater tickets or concert tickets, was a great way to integrate and actually have consumers ‘embrace the present’ for the holiday.” Mission accomplished!